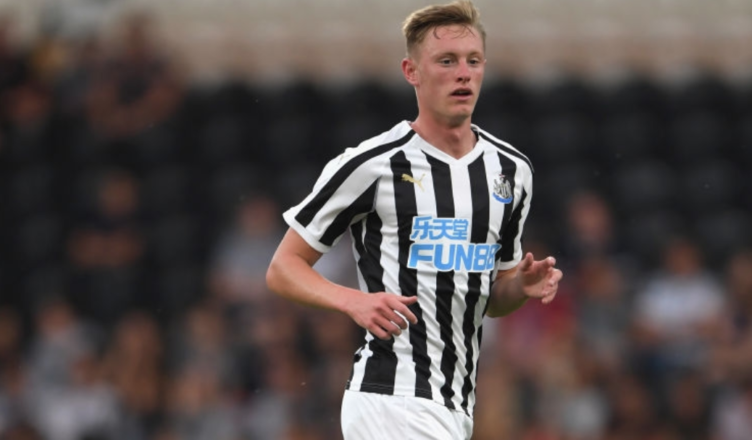 NUFC star reveals what several players noticed about Sean Longstaff over pre-season – NUFC blog – Newcastle United blog – NUFC Fixtures, News and Forum. Isaac Hayden has praised Sean Longstaff, revealing how his form is no surprise to himself and several other Newcastle players given how he impressed them over pre-season. He impressed the odd time we saw him play over pre-season, scoring in his opening game in Ireland, but I don’t think many saw him being just this good. “He’s a top lad. He’s so, so humble. He’s so gracious in the way that he plays, so calm on the ball for his age. “I think back to when I was 21. I know I was playing quite a bit, but that was in the Championship, and that’s a completely different level of football. “For me, he’s been fantastic since he’s come in. “To be fair to him, if you ask a lot of the lads from the start of the season, they would have said that. He did really well in training pre-season. “I think people saw in pre-season what he was about. The fact Hayden speaks so highly of both his attitude off the pitch and ability on it says a lot about Longstaff, with him seeming to show real maturity in all he does despite his sudden rise to fame on Tyneside. Talking of goals, it’s easy to forget the this was a big part of Longstaff’s game before he broke into the first team, with him scoring 9 on loan at Blackpool and netting regularly at U-23 level. If he can keep scoring, continue to show his class on the ball and maintain the sort of discipline and work rate he’s offered over the last month or two, we have some player on our hands!